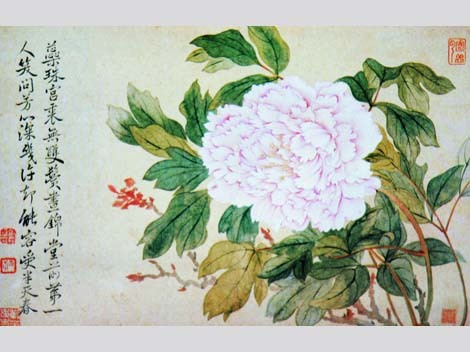 The peony is a popular symbol in traditional and modern art. It comes in a variety of shapes and colors. Mischievous nymphs were said to hide in the petals of the Peony, giving it the meaning of Shame or Bashfulness in the Language of Flowers. While the peony takes several years to re-establish itself when moved, it blooms annually for decades once it has done so. Most are herbaceous perennial plants 0.5–1.5 metres (1.6–4.9 ft) tall, but some resemble trees 1.5–3 metres (4.9–9.8 ft) tall. They have compound, deeply lobed leaves and large, often fragrant, flowers, ranging from red to white or yellow, in late spring and early summer. 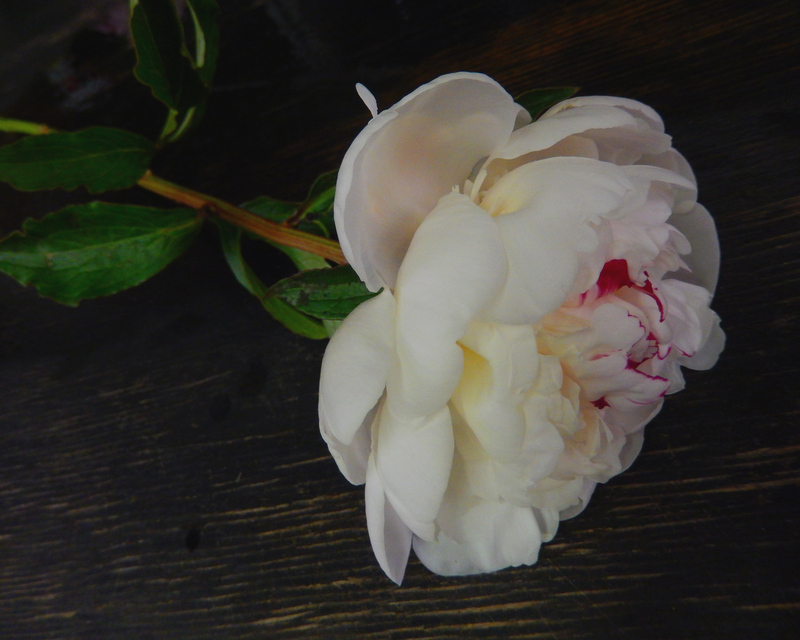 According to Greek mythology, Peon, doctor of the gods and Aesculapius’ pupil, healed Pluto’s wounds using peony’s roots; the god, in order to express gratitude and to protect him from the envy of his colleagues, gave him the gift of immortality transforming him into a flower: the peony. These flowers were extremely popular in 1000 BCE China. The Qing Dynasty even put “the king of the flowers” under protection for being the “flower of riches and honour”. As the imperial court moved, the peonies would be uprooted and moved along with the rest of the household goods. Where the household was planted so were the peonies. This movement lead to widespread growth and new varieties across the land. 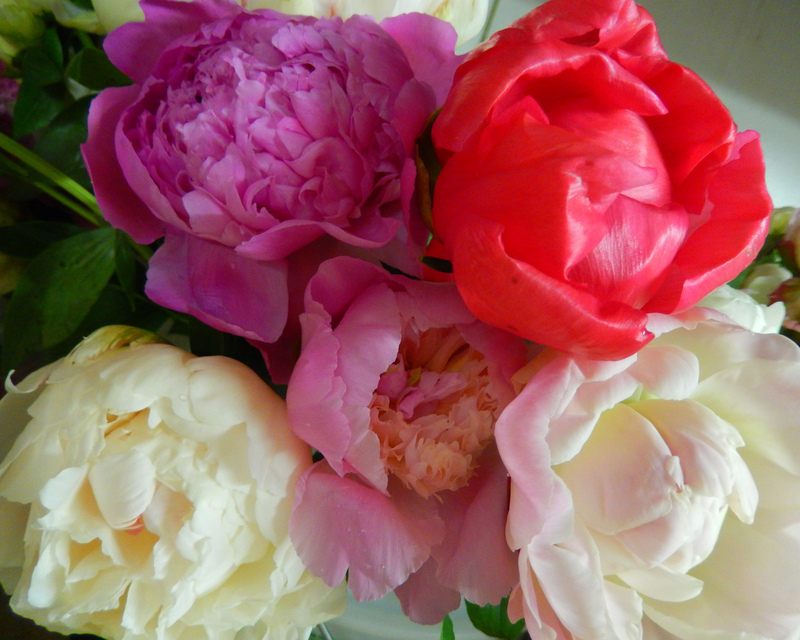 Peonies quickly took root in their new surroundings and in the imaginations of the locals. It’s popularity survived the ages and in 1994, it was proposed as the national flower from the PRC. As well as Asia, these blooms are also native to Southern Europe and parts of western North America. The peony has continued to be an image portrayed in art. Featured in a variety of forms and flavors, the flowers have been graced ancient delicate Qing Dynasty watercolors, still lifes captured by Renoir, and sometime within the recent past a vintage inspired tattoo.